Asa and his wife Kristin Chandler have lived in Alaska for almost 30 years. Together they have two children, Xander and Davi Kay. When they’re not helping their fellow Alaskans make the most of their garage with custom storage cabinets and epoxy floor coatings, the Chandler family enjoys cooking, camping, snow machining and watching their kids play. Asa has been installing concrete coatings for 14 years and is excited to bring his experience and the superior Garage FX Flooring™ materials with a lifetime warranty to the garage makeover industry. When Asa took a good hard look at his own cluttered garage he realized that there is a demand for attractive and affordable storage solutions and epoxy coatings in just about everyone’s garage. Asa and Garage Experts of South Central Alaska are currently installing lifetime warrantied floor coatings and storage solutions in and around, but not limited to: Anchorage, Wasilla, Eagle River, Palmer, Chugiak, Girdwood, Indian and Jber. 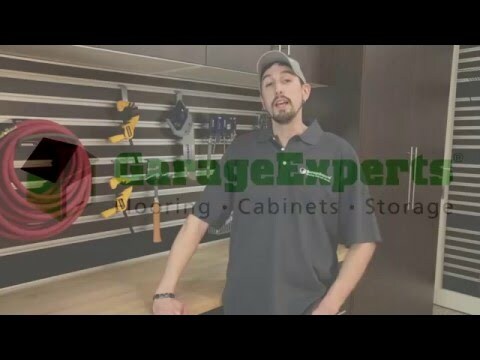 GarageExperts of South Central Alaska is your local garage makeover expert. View some of our recent work.